The novel opens in 1998 when 18 year-old Soo-min Williams, born to a South Korean mother and an Afro-American father, vanishes from a South Korea beach and feared drown. The story then moves to 2010 where we meet Jenna Williams, Soo-min’s twin sister, a graduate of Georgetown University working for a defense think tank. Jenna, who has always held out hope that her sister is alive, is recruited by the CIA to rescue her sister. It seems Soo-min was abducted by North Korea in a program known as “The Seed-Bearing Program” which creates spies and assassins who look foreign and are indoctrinated with North Korean teachings. Author D. B. John introduces two other main characters in addition to Jenna to tell his story. The first is Mrs. Moon, an elderly member of a farm collective, who becomes a black market shopkeeper in order to survive. The second character is Cho Sang-ho, a rising bureaucrat, who is sent to New York to negotiate with the United States for aid in return for abandoning North Korea’s nuclear program. (Sound familiar?) Cho has a dark family secret that if discovered would lead to his execution. The author carries these three story lines through a chilling account of life in North Korea and merges them neatly at the conclusion of the novel. The story is set in the reign of Kim John-il, second in line of the ruling family and father of current leader Kim Jong un. Giant murals of the grandfather, Kim il Sung hang everywhere. The author depicts a regime that stays in power by utilizing secret police, forbidding religion, starving the masses and keeping the elite in fear of falling from favor and facing death or imprisonment. John depicts a regime so poor that its diplomats finance their costs by using counterfeit money and selling methamphetamines. The account of life in North Korea is so chilling that it actually overrides a very gripping and suspenseful story line. The author’s accounts of life in North Korea is based on observations he made during a personal visit plus several accounts made by escapees and offers the reader an informed look at the corruption, oppression and suffering that is North Korea. 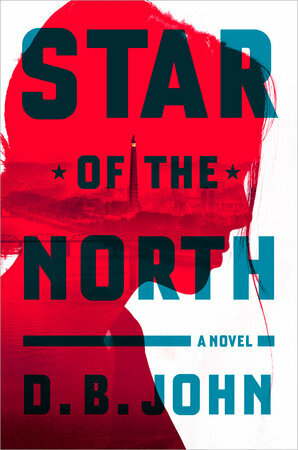 STAR OF THE NORTH is a timely novel that gives us a picture of one of the United States’ scariest adversaries. My sister really liked this too. I tried the audio but it didn't work for me - it may have been my mood, though. It sounds like I need to get back to this book.